Meet local singles, post and browse cool date ideas. YADSE is a unique online dating website. You can post and browse offline date proposals from people around your location, or just browse people's profiles and contact those you find interesting to you. YADSE is 100% free. No hidden fees. Profiles, photos and dates are only available to signed-in users. Secured with HTTPS, so no need to worry when using Wi-Fi hotspots. Easy login with single sign-on available. 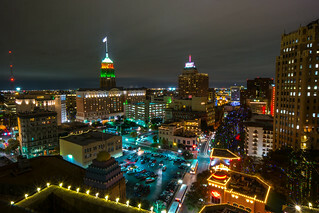 San Antonio, located in Texas, is the seventh most populous city in the United States as over 1.3 million people live there. 48% of the population are males, and 52% of the population are females. For every 100 females age 18 and over, there are 89.7 males. Dating in this great city is really easy. Its atmosphere and climate particularly conduce to dating – at every step you can meet singles. Check out the best, in our opinion, proposals for dating in San Antonio. San Antonio is a great place for all historical sightseeing lovers. The city has many world class monuments and landmarks. You will also find here some real architectural gems. We suggest you start visiting the city at San Antonio Market Square (El Mercado de San Antonio) – the largest Mexican market outside of Mexico with plenty of shops selling authentic goods including crafts (also jewelry), ceramics and leather items. It's also a great place to have a snack and, with a little bit of a luck, you'll come across the live entertainment which is frequently hosted in this place. 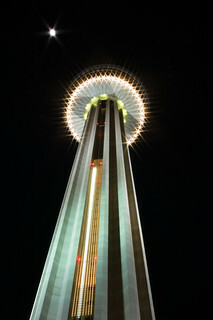 A truly important landmark of San Antonio is for sure Tower of the Americas.This 750-foot tower allows you to see the stunning panorama of the city. In addition to the observation deck there is also a revolving restaurant so you can admire the beauty of the city during a romantic dinner or conversation over a glass of wine. Other worth seeing and interesting places are: Vietnam War Memorial, dedicated to all war veterans, Mission San José which has some really interesting architectural features, and Spanish Governor's Palace built in the 18th century. A great spot for an excellent romantic date in San Antonio is definitely Southtown with many historical sites, great modern art complexes, and trendy shops. Worth mentioning is the fact that First Friday street festivals are held here. Voguish boutiques and fashionable restaurants can be found there at Olmos Park. If you would like to relax for a while from the hustle and bustle of the surrounding city, a romantic walk (with strolling mariachi bands in the background) along the San Antonio River is definitely a good idea and the perfect place for your first kiss. How about a romantic date in a theater? If this suggestion sounds interesting for you, don't forget planning a night at the Lila Cockrell Theatre that hosts theater, opera, ballet and individual concert events. If you would like to listen to the classical music on its highest level go to the Majestic Theatre which is home to the San Antonio Symphony, but also holds Broadway shows as well as individual concerts. Cabaret? See the Charline McCombs Empire Theatre. Also smaller productions, banquets and touring plays are held here. If you want to see some real gems of art you should definitely visit the Buckhorn Saloon & Museum, Alamo, or Museo Alameda. It's also worth mentioning that each year, in late April, Fiesta San Antonio (a celebration in honor of the battles fought at the Alamo and San Jacinto) takes place. During this unusual time there are more than 100 cultural events held in the city and the number of people taking part in the festival reaches 3 millions. It's for sure the biggest party in Texas. The most popular cuisine type in the city is for sure Tex-Mex, commonly served in many great restaurants across the whole city. Among them you will find both exclusive and expensive as well as cheaper but still very tasty ones. Barbacoa and Big Red commonly served with Waco (Texas soft drink) are local specialty. If you want to taste this kind of cuisine on your ideal date visit The Original Mexican Restaurant, Alamo Cafe, El Milagrito Café, or Rosario's Mexican Cafe Y Cantina. If you feel like having traditional American dishes try Restaurant Gwendolyn, Boudro's On the River Walk, or Lüke (serves also French). If you can't imagine your perfect date without partying from down till dusk, San Antonio for sure won't disappoint you. In the city you will find numerous spots from upscale pubs (Flying Saucer Draught Emporium, Waxy O'Connors, Bombay Bicycle Club), wine bars (Zinc Bistro & Wine Bar, Candlelight Coffeehouse, SoHo Wine & Martini Bar) till live music venues (The Korova, Bond's 007 Rock Bar), and trendy dance clubs (Bonham Exchange, Wild West Nightclub, Cowboys Dancehall). Dating in San Antonio can be a lot of fun!